3600201 15G-7 HYUNDAI 15G-7 GAS Forklift G series. Spare parts catalog. Service Manual. 3600202 15G-7A HYUNDAI 15G-7A GAS Forklift G series. Spare parts catalog. Service Manual. 3600203 15G-7M HYUNDAI 15G-7M GAS Forklift G series. Spare parts catalog. Service Manual. 3600204 18G-7 HYUNDAI 18G-7 GAS Forklift G series. Spare parts catalog. Service Manual. 3600205 18G-7A HYUNDAI 18G-7A GAS Forklift G series. Spare parts catalog. Service Manual. 3600206 18G-7M HYUNDAI 18G-7M GAS Forklift G series. Spare parts catalog. Service Manual. 3600207 20G-7 HYUNDAI 20G-7 GAS Forklift G series. Spare parts catalog. Service Manual. 3600208 20G-7A HYUNDAI 20G-7A GAS Forklift G series. Spare parts catalog. Service Manual. 3600209 20G-7M HYUNDAI 20G-7M GAS Forklift G series. Spare parts catalog. Service Manual. 3600210 25G-7 HYUNDAI 25G-7 GAS Forklift G series. Spare parts catalog. Service Manual. 3600211 25G-7A HYUNDAI 25G-7A GAS Forklift G series. Spare parts catalog. Service Manual. 3600212 25G-7M HYUNDAI 25G-7M GAS Forklift G series. Spare parts catalog. Service Manual. 3600213 30G-7 HYUNDAI 30G-7 GAS Forklift G series. Spare parts catalog. Service Manual. 3600214 30G-7A HYUNDAI 30G-7A GAS Forklift G series. Spare parts catalog. Service Manual. 3600215 30G-7M HYUNDAI 30G-7M GAS Forklift G series. Spare parts catalog. Service Manual. 3600216 33G-7A HYUNDAI 33G-7A GAS Forklift G series. Spare parts catalog. Service Manual. 3600217 33G-7M HYUNDAI 33G-7M GAS Forklift G series. Spare parts catalog. Service Manual. 3600219 20GA-7 HYUNDAI 20GA-7 GAS Forklift GA series. Spare parts catalog. Service Manual. 3600221 25GC-7A HYUNDAI 25GC-7A GAS Forklift GC series. Spare parts catalog. Service Manual. 3600222 25GC-7M HYUNDAI 25GC-7M GAS Forklift GC series. Spare parts catalog. Service Manual. 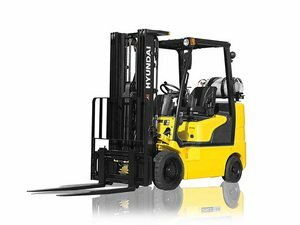 3600223 30GC-7A HYUNDAI 30GC-7A GAS Forklift GC series. Spare parts catalog. Service Manual. 3600224 30GC-7M HYUNDAI 30GC-7M GAS Forklift GC series. Spare parts catalog. Service Manual.